Buy using the link below or from a local BC dive store! "Glen Dennison has a deep and abiding knowledge of this unique and beautiful body of water more profound than anyone I know." 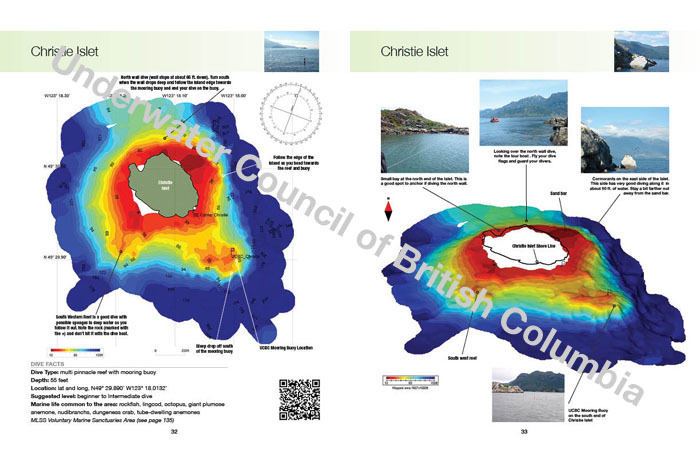 "This book should be on every boat in Howe Sound. A great resource." "Finally! 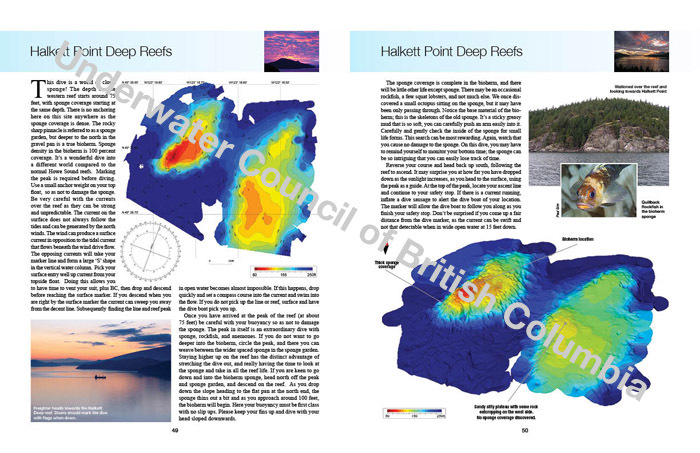 a comprehensive and detailed book for diving Howe Sound. This is a terrific resource with state of the art mapping." 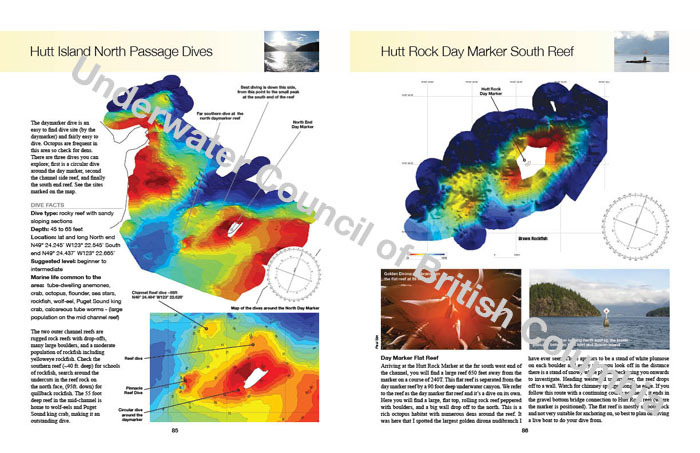 "Diving Howe Sound is a must have, a mobile library that should be on every boat and in every captain’s quarters! 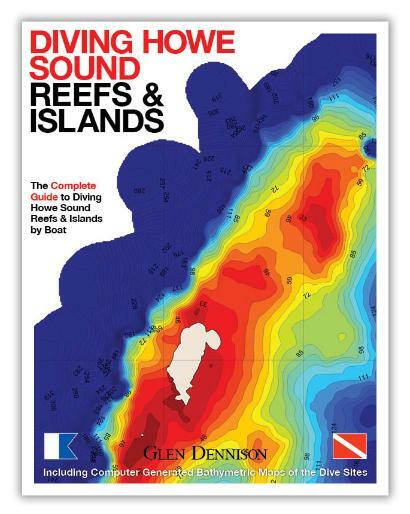 The book is not only a guide to diving but doubles as a marine field guide." 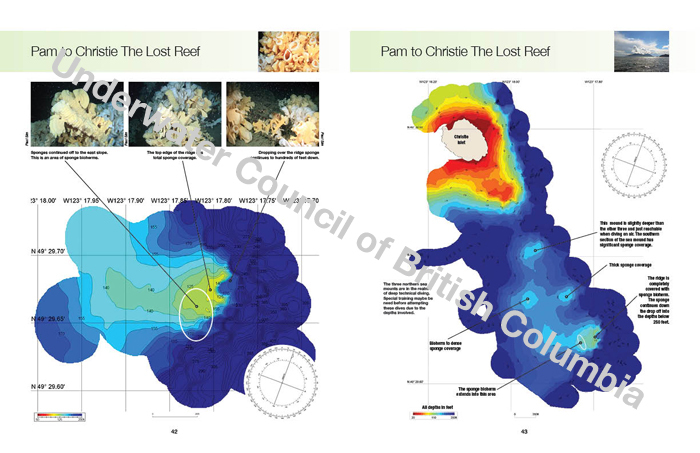 Learn about previously undocumented sites, giant glass sponge bioherms, where and how to dive on the UCBC mooring buoys, safety tips and methods to prepare you for boat diving and much more! 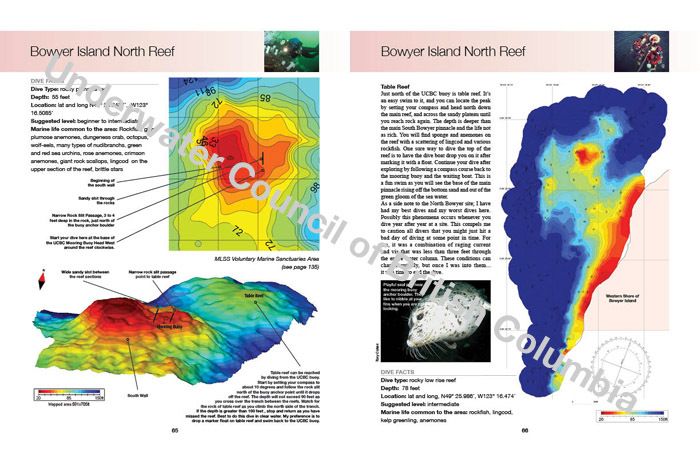 Buy Diving Howe Sound Reefs & Islands online! 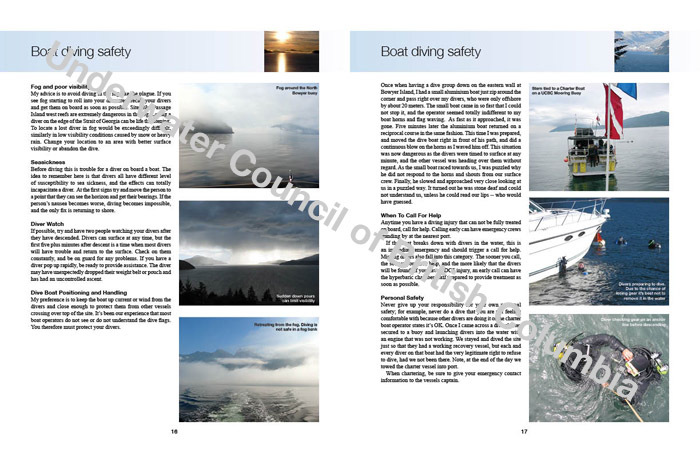 "All publisher proceeds to benefit the UCBC mooring buoy program"
Take a look inside... click on a thumbnail below to enlarge!